Dr. Lisa Peter Howard is a 1980 graduate of the University Of Minnesota School Of Dentistry. She practiced general dentistry in a group practice in a Minneapolis suburb for fourteen years before returning to school to pursue a three-year Master’s Degree in Orthodontics at the Mayo Clinic in Rochester, Minnesota. After moving to Maine and working as an associate for four years, Dr. Howard opened her own practice in Scarborough in 2002 and found it to be a great community in which to practice her profession. The American College of Dentists, The International College of Dentists and the Pierre Fauchard Academy, all of which are national honorary societies. Dr. Howard was appointed in May of 2014 to serve on the Maine Board of Dental Practice. 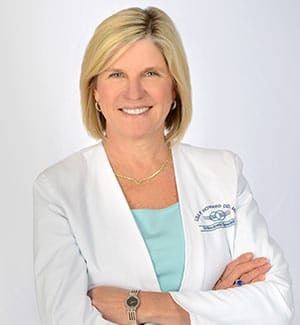 She has served on the AAO’s Council on Governmental Affairs (COGA) since 2008 representing the Northeastern Society of Orthodontists (NESO) and also serves on NESO’s Executive Board. Dr. Howard is a past President of the Maine Dental Association, is a past Chair of the MDA’s Council on Ethics. She completed a four-year term on the ADA’s Council on Access, Prevention and Inter-professional Relations, known as CAPIR. In conjunction with that position, she chaired the ADA’s National Fluoridation Advisory Committee and continues to be very supportive of all efforts to fluoridate the nation’s community water supplies. Dr. Howard and her dentist husband, Dr. Joseph R. Kenneally, have four children ranging in age from 24 – 33. Besides spending time with family and friends, Dr. Howard enjoys golf, reading, traveling, skiing and cycling.